Hi guys! Hope your well. 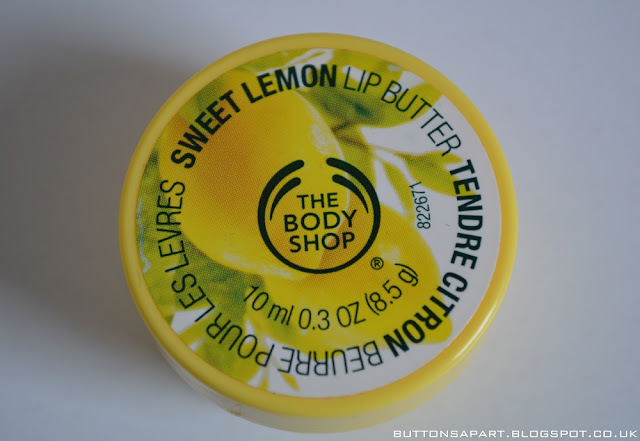 In today's post I shall be reviewing the sweet lemon lip butter by The Body Shop. The only positive thing I have to say about this lip butter is that it has a nice scent. I would describe the texture as sticky as oppose to the buttery texture described. On initial application to my lips I felt that the product did not absorb in at all. I was left with a white cast of oilness that sat on my lips not in the least bit pleasant. 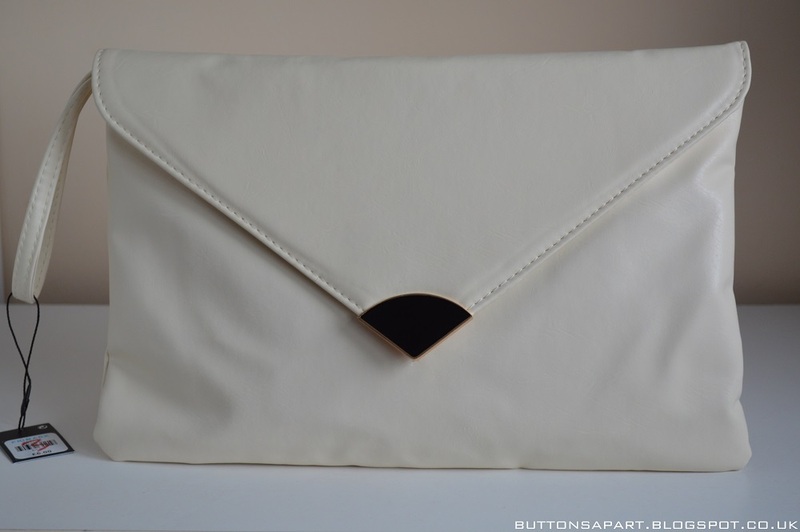 Nevertheless I decided to persevere with the product, mainly using it at night time. After using it repeatedly for a few days, I felt that my lips weren't getting moisturised but rather getting more dry and this is when I had to stop using it. 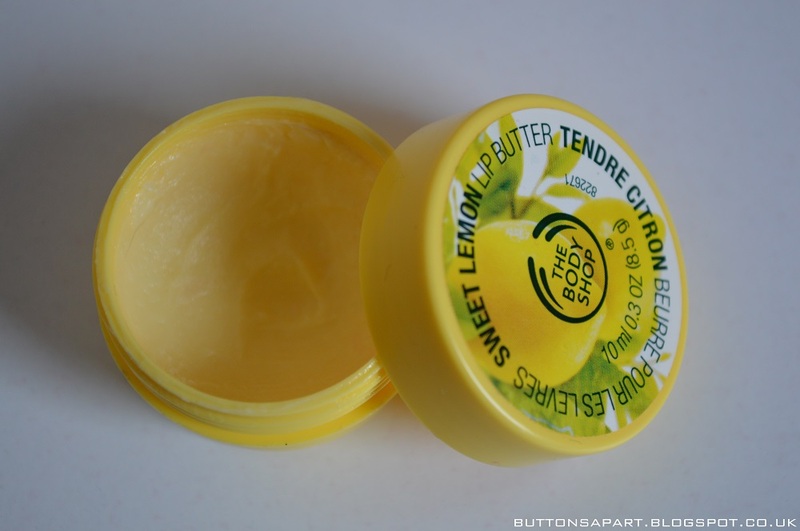 Overall I felt as though I really wanted to love this lip butter, because I love the body shop body butters, but the truth is I was left more than a little disappointed, this is one of the worst lip balms I have tried. Have you tried the body shop sweet lemon lip butter? What are your thoughts? Hi guys! 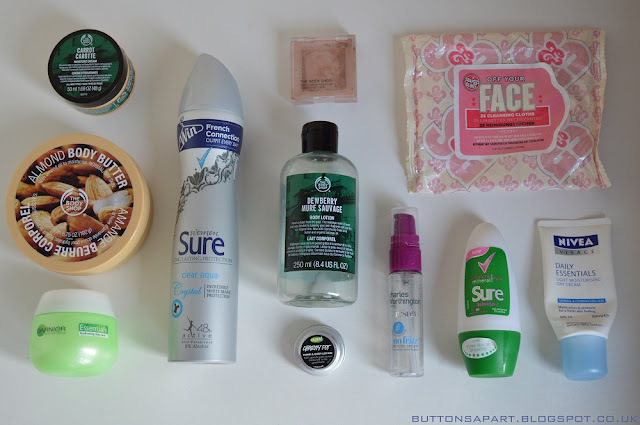 I have a Boots haul for you today. 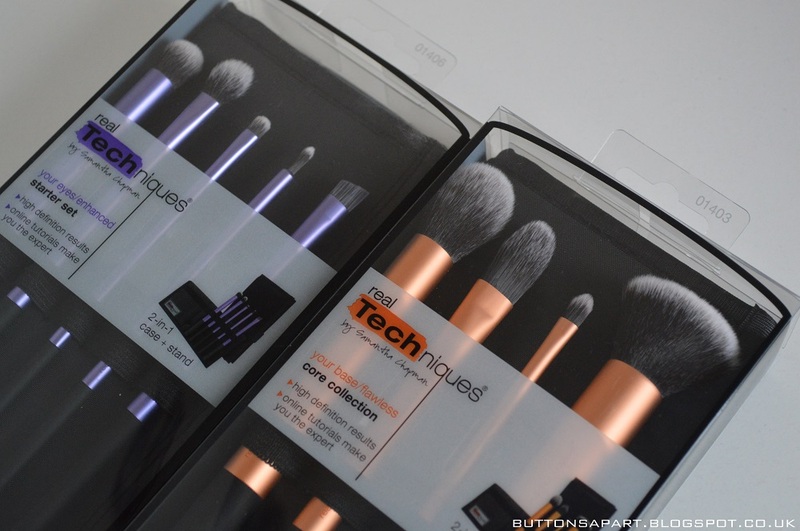 Firstly I have had my eye on the Real Technique brushes for a while now and when I spotted they were on 3 for 2 at Boots I could not help but take advantage of this offer! I picked myself up a core collection face set and starter set for the eyes, and then picked up another core collection set for Radha. Super excited to start using these! I know Christmas has long gone but I spotted a shelf full of these philosophy bubble bath's on clearance and I could not pass up the offer. The bubble bath is a fun bright pink colour and has a delicious fruity berry scent. I'm hoping it will bubble up nicely! 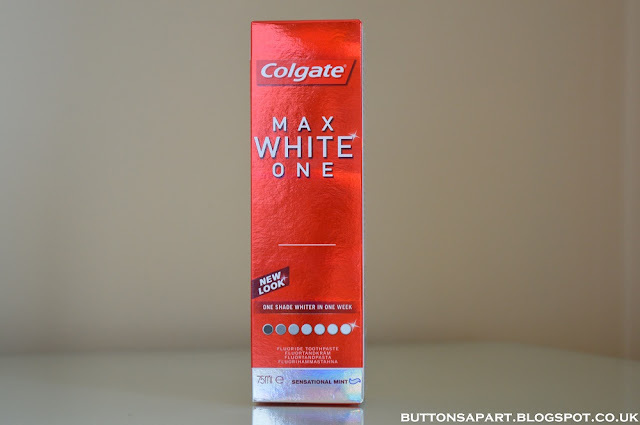 I am a sucker for deal's and when I saw that the Colgate Max white one toothpaste was half price I couldn't leave it sitting on the shelf, because who doesn't want a whiter teeth?! Lastly I was given a five pound off No7 skincare voucher so I felt as though I had to buy something with it, after spending half an hour looking through the No7 products I settled on this No7 beautiful skin radiance exfoliator. 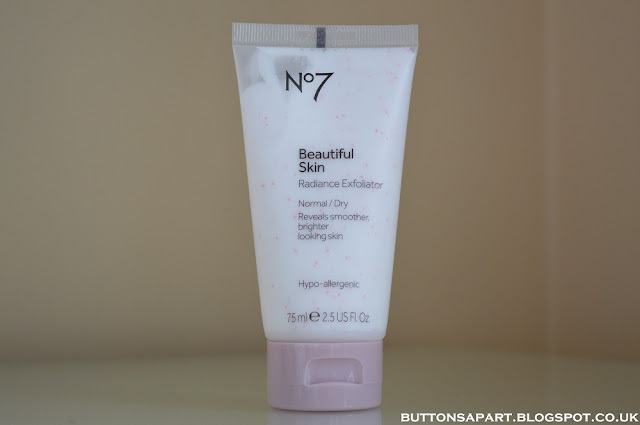 I have used No7 skincare products in the past but not since everything has been reformulated and repackaged so I'm interested to see how this product will work out. I was also in the market for a BB cream however there were so many different options, that I got a bit overwhelmed. One of two things could have happened, the first being I came out with like five different options to try and the second being I came out with nothing. My wallet is certainly glad it was the latter rather than the former!! Any recommendation's/suggestion's for BB cream's for normal/slightly dry skin? This morning this lovely Holland and Barrett beauty box arrived in the post and we wanted to share our first impressions with you guys. 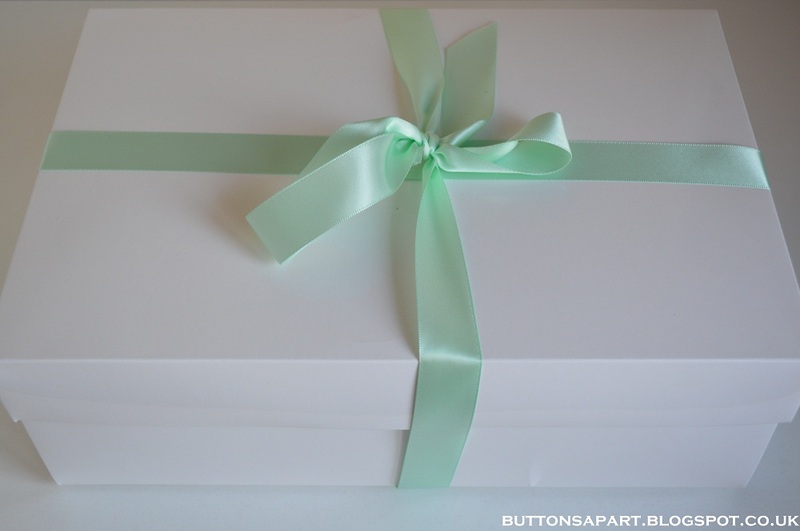 The box contain's four products and a guide to help promote a good night's sleep. There is nothing like a good night's sleep to help you feel fresh and rejuvenated. So we are up for anything that will promote this! Wonder Oil is described as a heavenly combination of oils, herbs and fruits for use on skin, hair and nails. The guide suggests pouring some oil into a hot bath and taking a relaxing soak prior to bed time. However it sounds like it is a great multitasking product with a multitude of options. It smells fresh and delicious. A lovely citrous scent for spring. Cherrie's contain the sleep hormone melatonin, which we couldn't help but Google to find out more information! Wikipedia tells us that it is a hormone which we produce in a gland just outside our brain and which is involved in regulating the sleep-wake cycle. It does not cause sleepiness but it advances the phase slightly. The product is 100% pure and natural there are no artificial colours, flavours, sweeteners or preservatives. It is suitable for vegetarians and vegans which we are glad to here. Cherry is a strong flavour and can be bitter so we are interested to see how this will taste! I'm sure we've heard about and may even have tried adding a few drops of lavender oil to our pillow to allow us to drift off to sleep. We do like the scent of lavender oil and find it rather calming. This product will definitely be beneficial in promoting a good night's sleep. The Dr Organic Night Cream has been added for a night time skin boost. Argan Oil has received a lot of hype in the beauty community but we are yet to try a product with argan oil, so we're looking forward to testing how this product works out. From first impressions this is a thick cream which feels rather rich and luxurious. It's free from parabens, SLS, Artificial colours, fragrances and harsh preservatives so a big tick on that respect. The product claims to help soften the skin, promote collagen synthesis to assist with younger looking skin, as well as visibly reduce lines and wrinkles, so lets see how we get on. We are excited to have the opportunity to trial these products and of course it goes without saying that we will be fully reviewing each of them once we've had a chance to test them out. Unfortunately we don't think that the beauty box is available to buy as a box. However you can buy all of the products mentioned individually to mix and match and create your own little good night's sleep box at Holland and Barrett either instore or online. There is currently a buy one get one half price deal going on. 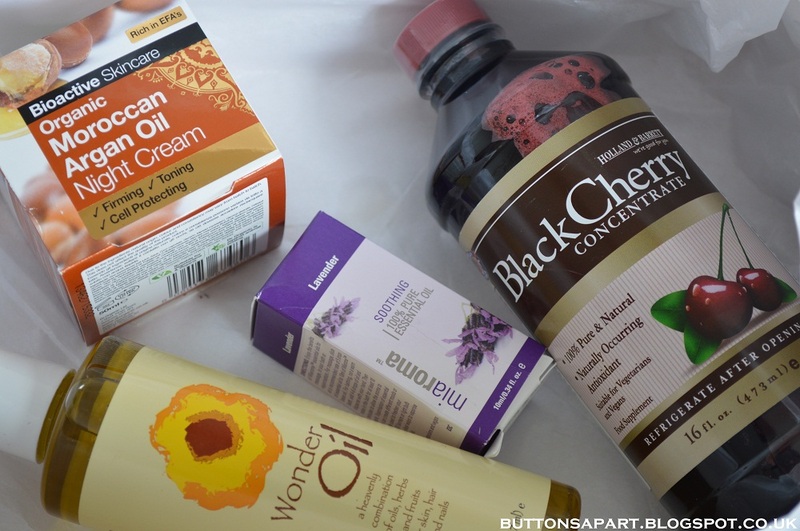 Have your tried any of these products from Holland and Barrett? What are your thoughts? P.S Did you know that March was national bed month!? Today's post is a review of bio-oil. So let's jump straight into it. 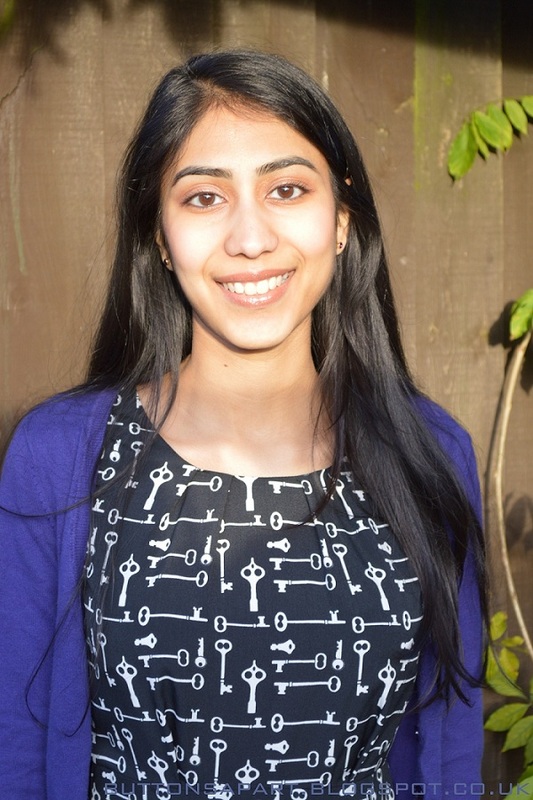 Radha: I have been using bio-oil for the past 3 and half years. I think it's a fantastic product and it has become one of my staples. 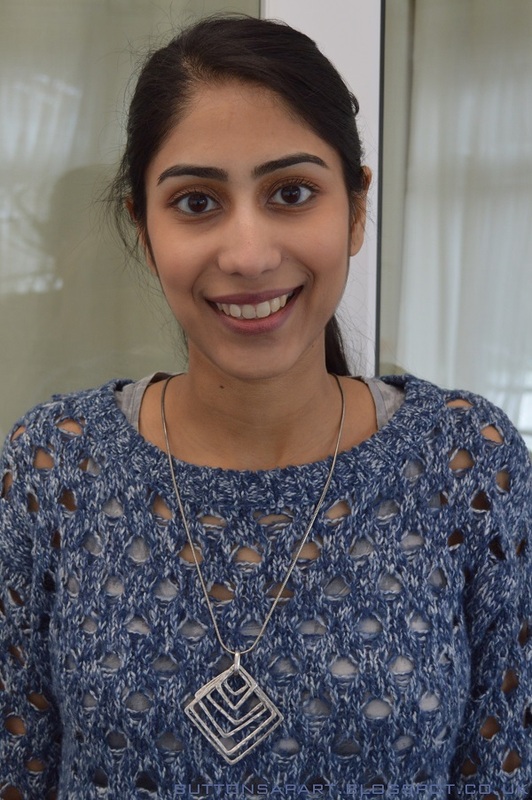 I have scarring left on my skin from eczema as a child and have seen an improvement in both my skin and it's tone since I began using bio-oil. I use it daily after showering both on my face and body and feel as though it leaves my skin really moisturised. 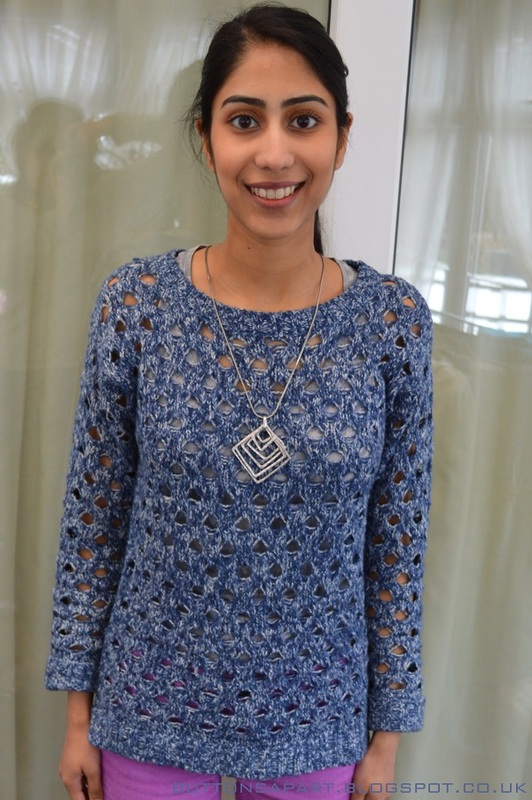 Sita: Radha has talked a lot about this product and so I decided to try it out. I have used it for the past few weeks and I would agree that it is moisturising. It does leave your skin feeling a bit greasy after initially application (but it is an oil afterall!) I don't suffer from scarring/stretch marks but I think it's a nice product to use now and then when your skin requires a little more hydration. The product comes in a plastic tube which is adequate. 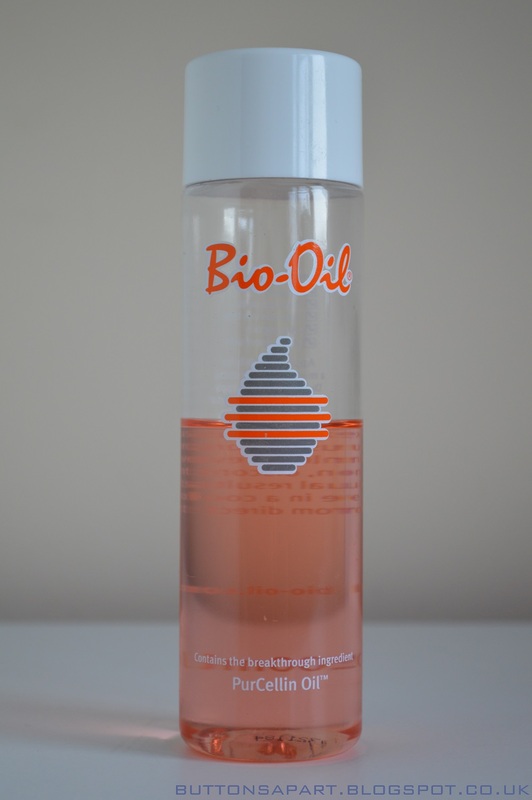 Have you tried bio-oil? What are your thoughts? 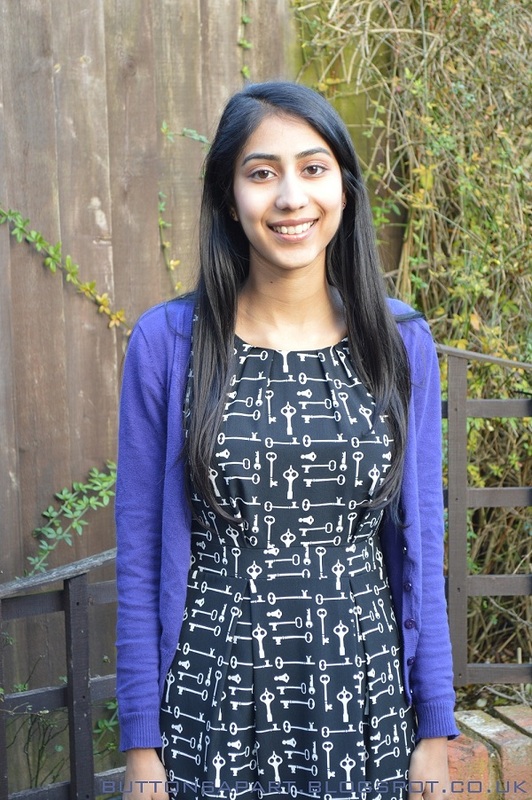 You guys know that here at Buttons Apart we love colour and my outfit today is no exception. 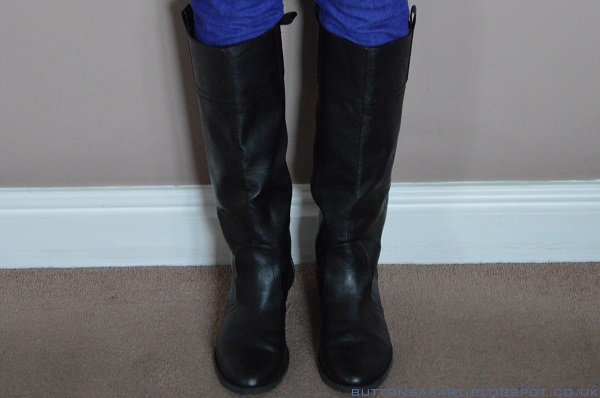 I'm wearing my cobalt blue coloured skinny jeans I hauled not so long ago. 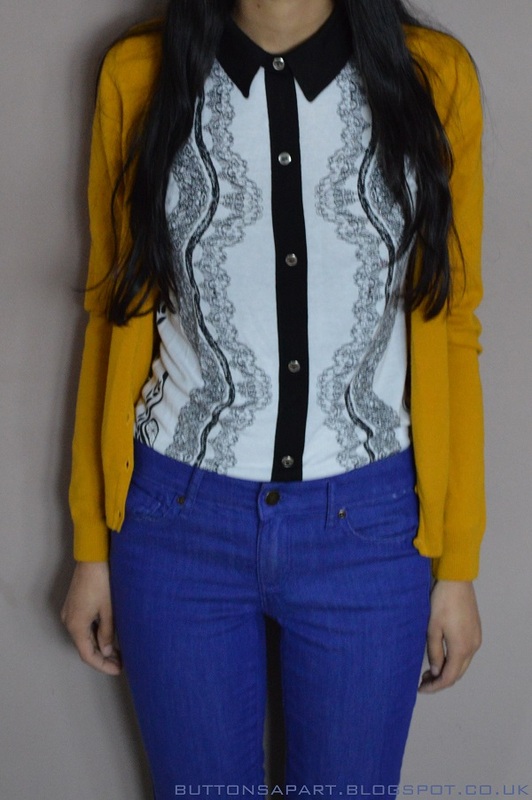 I paired the jeans with a printed top from none other than Primani as well as a mustard cardie. 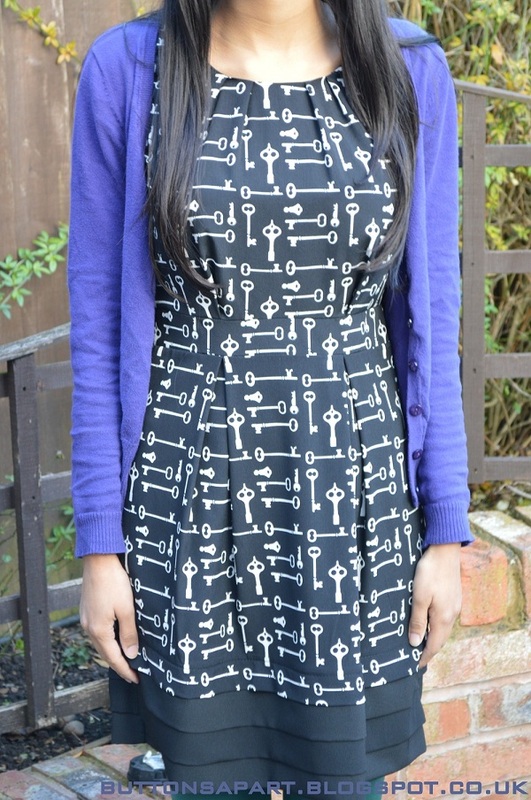 I finished the look with a pair of simple but classic black boots. I'm pretty obsessed with coloured jeans at the moment! 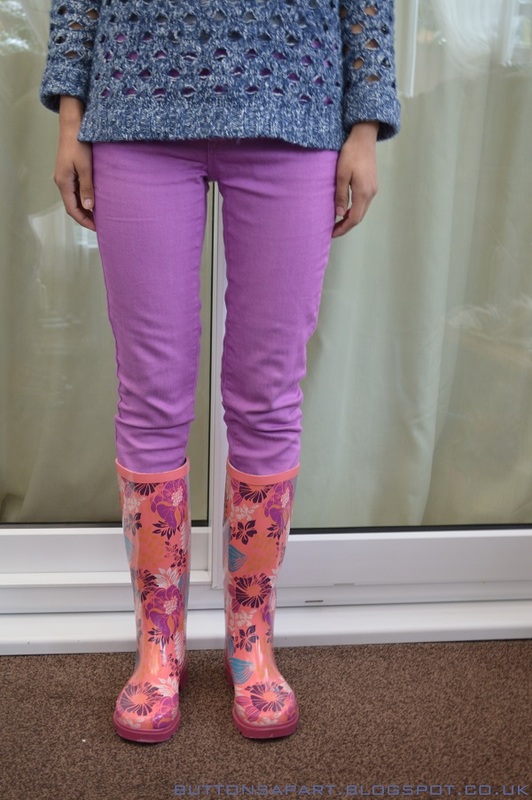 Do you like wearing coloured jeans? 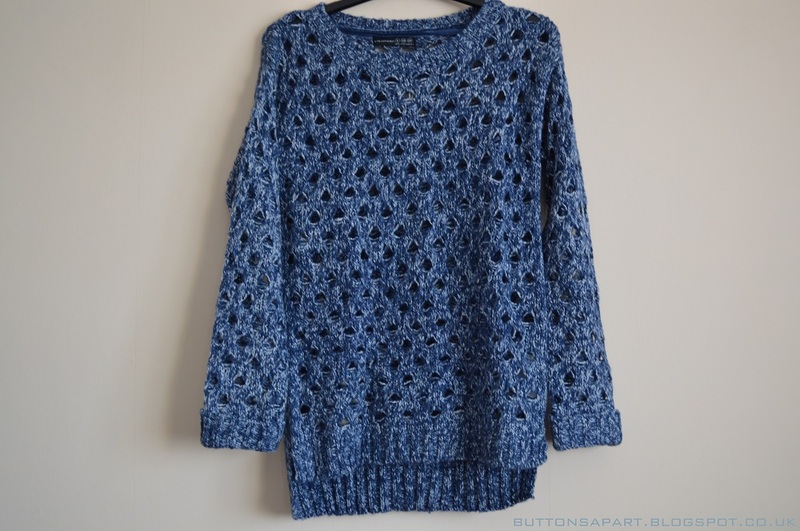 If so what's your favourite colour to wear? We hope you had a great weekend guys! 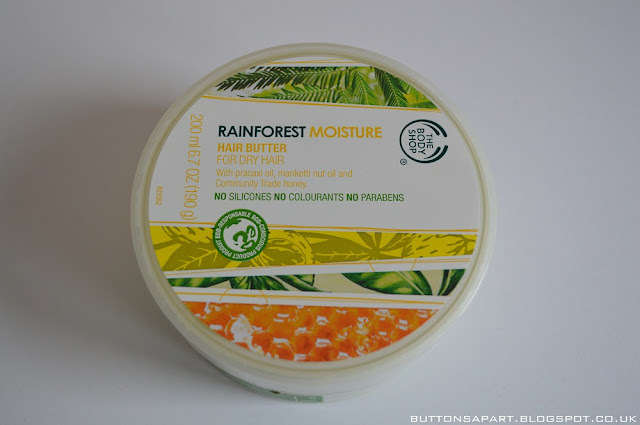 In today's post we're both doing a joint review on The Body Shop's rainforest hair butter. 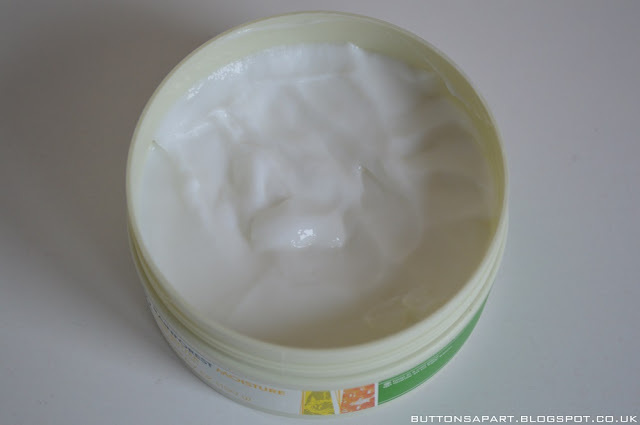 This has to be one of the best hair conditioning treatments that we have ever used. 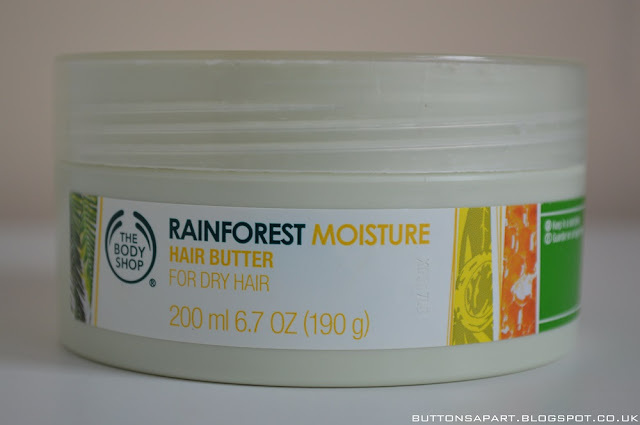 We use this product as an alternative to our normal conditioner weekly to two-weekly. After shampooing we apply a small amount of product to our hair like you would your normal conditioner and then wash it out after five minutes. 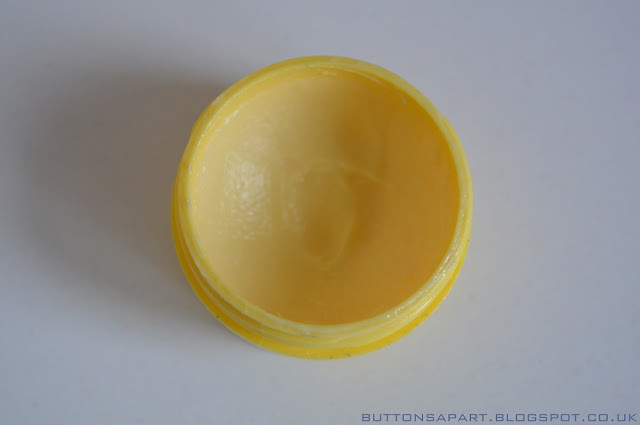 Even though we have been using this hair butter for the past year we noticed results from the first use. 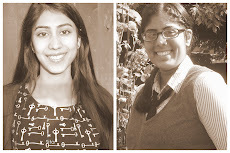 We both felt that are hair was left softer, nourished, less tangled and easier to manage. Furthermore it has a lovely tropical fruity scent so your hair is left smelling great too. If that wasn't enough the product is free of silicones, colourants and parabens. Overall we can't really think of a bad word to say about this hair butter and feel like it's great value for money. There is also a version available for coloured hair which we haven't tried as neither of us dye our hair but thought it was worth a mention as this may be a better choice for some of you guys if you are looking into purchasing this product. The product comes in a plastic tub and we're in two minds about the packaging, on the one hand it's easy to obtain as much product as you want and easy to use every last drop. On the other hand it can be a bit tricky to use in the shower as you need to ensure that you don't get water in the tub so it may be better in a squeezy tube. What's your favourite hair conditioning treatment? 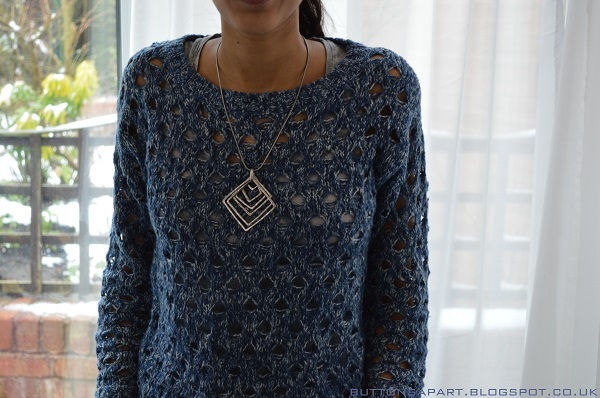 The weather outside is just awful so I have some indoor pictures for you. Apologies for all the reflections in the background. The conservatory was the only place in the house with some adequate natural light! 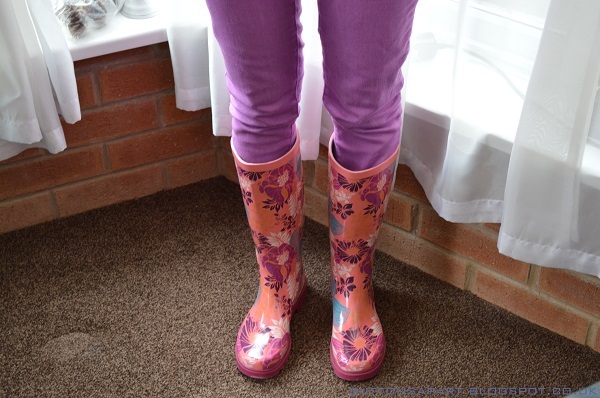 I'm wearing my wellie's because they are waterproof so my feet don't get wet, and are kept nice and warm, also they make walking in the snow a whole lot easier. Usually if I'm going to work I'll take another pair of shoes to change into with me to wear indoors. If it is a non work day then I just stick with the wellie's. Beside's the wellie's I'm in a supercosy knitted jumper to keep me warm and some coloured jeans to brighten my mood. Here's hoping, wishing spring will arrive soon. I shall be reviewing the Gillette Venus and Olay razor in today's post. I've used the Gillette Venus & Olay razor for the past couple of weeks since it was sent to me and I have to say that I've been converted. 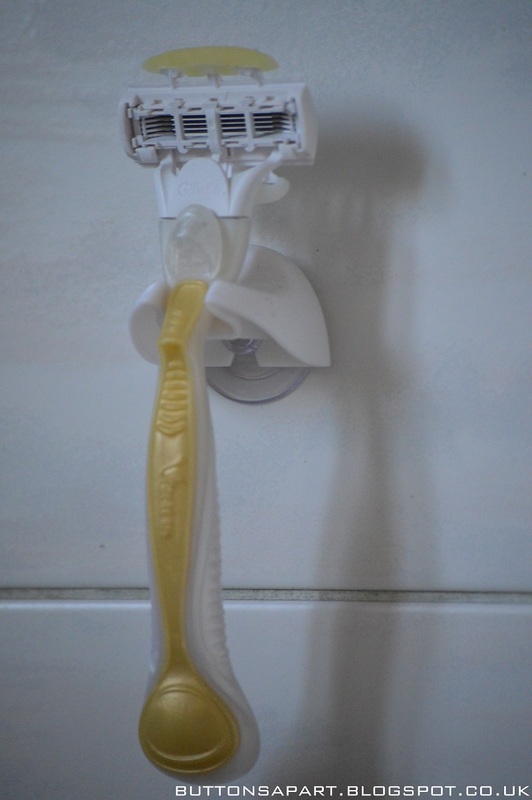 I have previously used Gillette venus razors but then switched to Wilkinson Sword. The razor has two bars attached; one is the shaving cream and the other is the Olay moisturising bar. 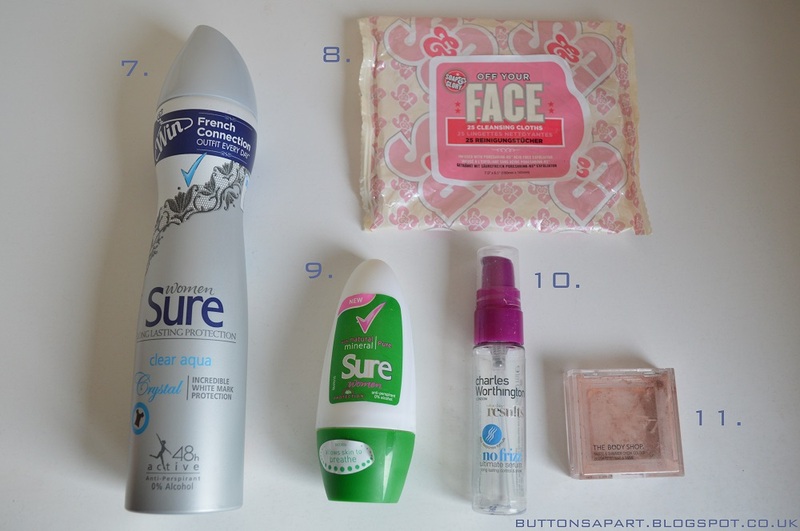 This makes it perfect for travel as it saves you carrying around a separate shave gel and moisturiser. The razor gave me a close shave. I didn't get any redness or razor burn that I sometimes get due to my sensitive skin. My skin also felt very moisturised and nourished due to the Olay bar. Which also smelt lovely and fresh. The set also comes with a handy shower holder which is rather useful to keep it handy. What's your preferred method of hair removal? 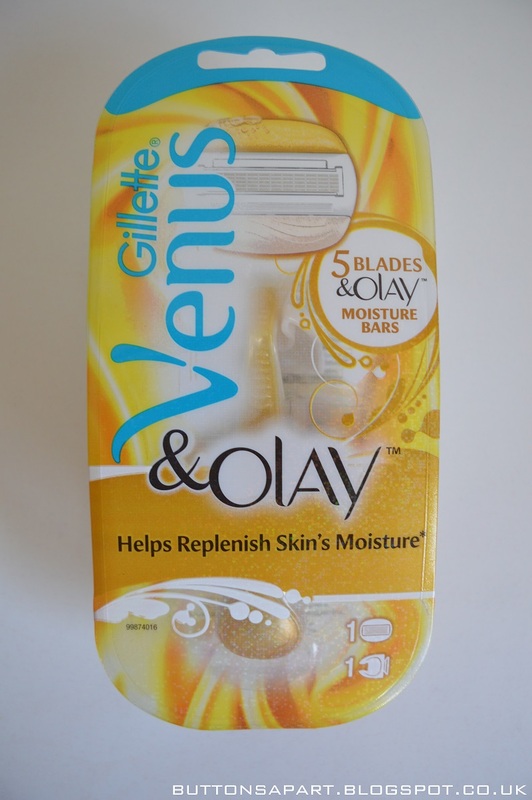 Have you tried the Gillette Venus & Olay razor? Happy Friday guys! Are you glad its nearly the weekend? 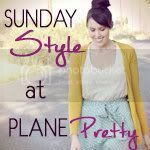 In Today's post I'm sharing with you guys a few new products I picked up and my initial thoughts on them. I have been feeling though my skin has been looking a little dull and tired lately so I decided to pop into Lush to pick up a fresh face mask. 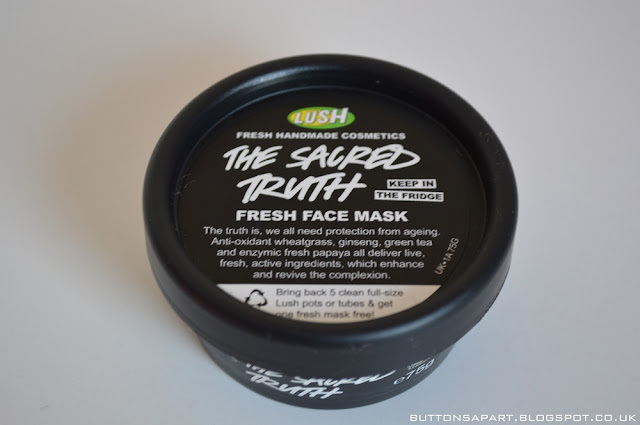 After discussion with the lovely assistant I opted for the sacred truth face mask I have already used it once yesterday night and have to say I really like it. I feel that my skin looks brighter and feels really soft after using it. I will do a full review on this once I have used it a few more times. The lady in the store also gave me a sample of the Lush Dream Cream to test out, I have heard many good things about this cream, and I have already used it last night and this morning and I know that I really like it. I'm going to be good and resist going and picking up a full size version until I have finished my current moisturiser. 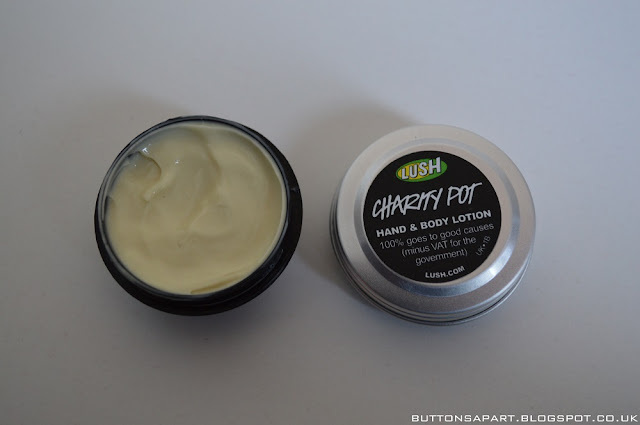 I also picked up this little charity pot as 100% of the proceeds go to charity. 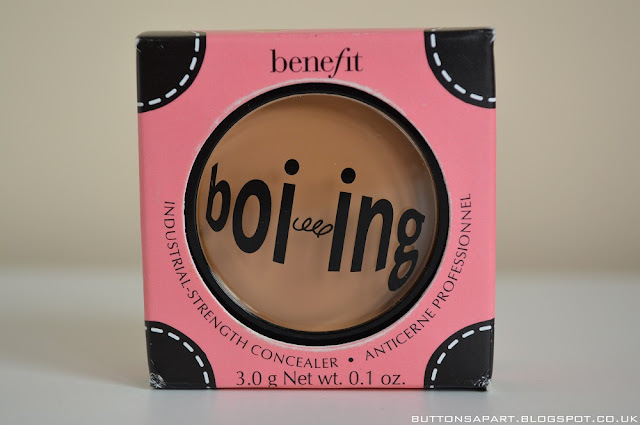 I was in the market for a new concealer and I have read many good reviews on this concealer. I have used it once and my first impressions are good, it is a nice creamy consistency and blends nicely. For anyone interested I bought the shade medium 03. Again I will do a full review once I've had more of a play with it. 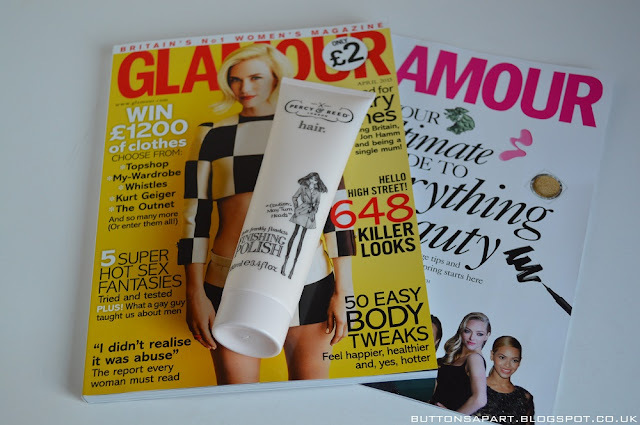 Last but not least I picked up an April issue of glamour magazine, I decided to share this with you guys because the magazine has a free gift with purchase this month. There is a choice of four Percy & Reed products, Moisturising Shampoo, Moisturising Conditioner, Finishing Polish or TLC Mask. So definitely take advantage of this offer if your interested. Have you brought any new products recently? If not what's currently on your wishlist? 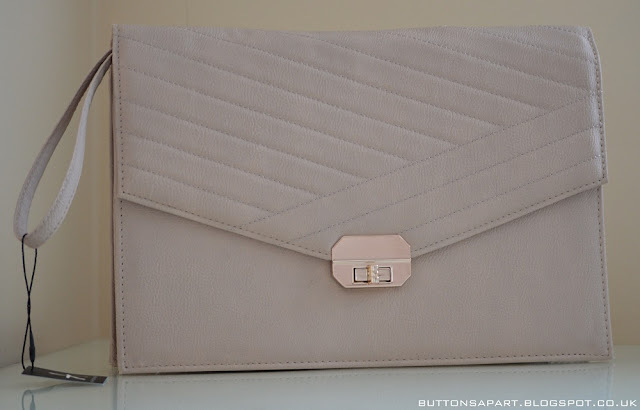 A while back I told you I was reviewing this product for Savvy Circle. 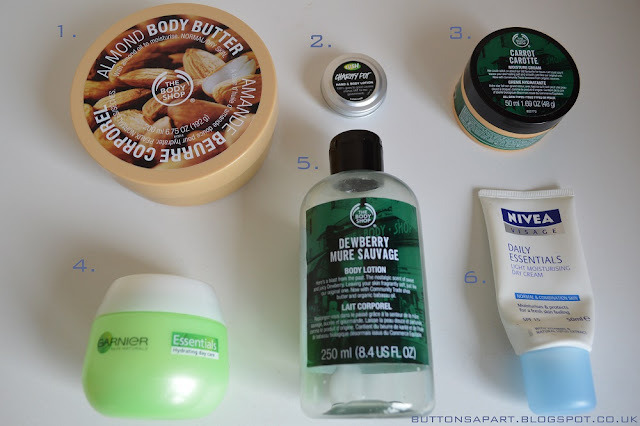 So after using this product daily for a couple of weeks here are my thoughts. 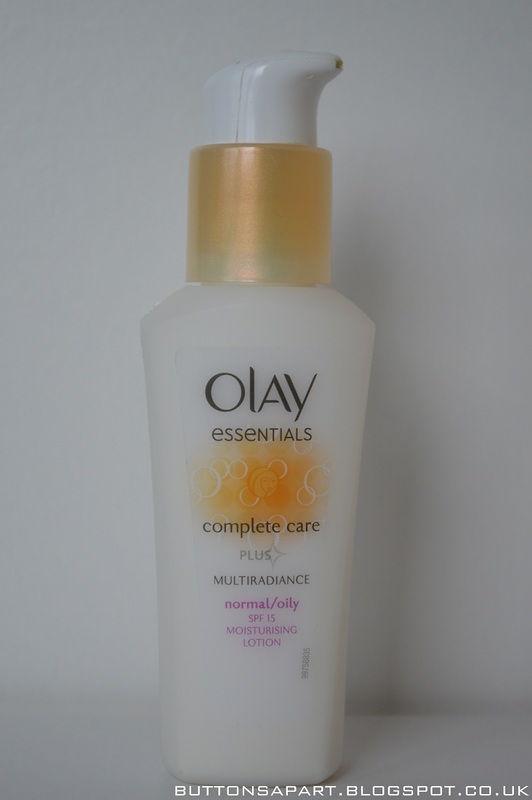 Olay Complete Care Multi-Radiance Radiant Glow Day Fluid SPF15 for normal/oily skin has been specially designed to give your skin everything it needs most to be noticeably radiant. 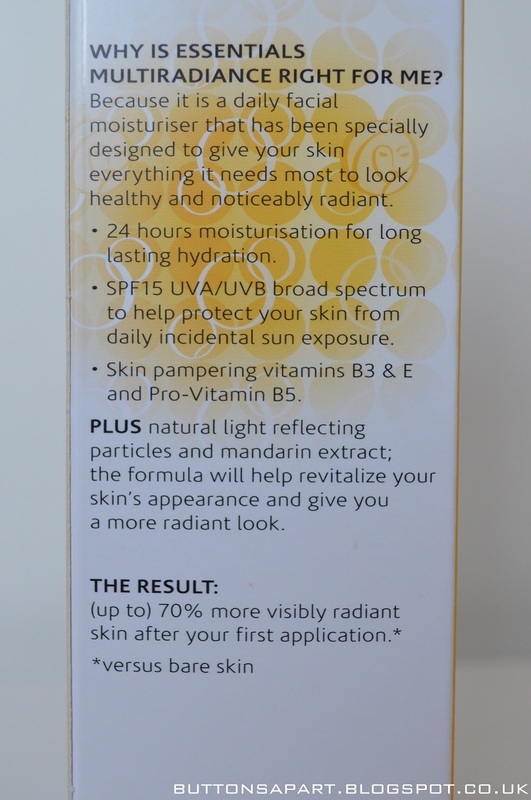 - The Multi-Radiance Complex contains natural light reflecting particles and mandarin extract. - Skin pampering vitamins (B3, E & Pro Vitamin B5). - Contains SPF15 broad spectrum protection. Firstly the cream has a nice consistency and subtle smell which is not overpowering I did notice my skin looking brighter from day one. I also love that it has SPF 15 built in which is great as there is no need for separate protection. On the downside I did not feel this moisturiser is hydrating enough. I would disagree with the 24 hour moisturisation claim, as I felt that I had to reapply it often through out the day. This may be because the formulation is for normal/oily skin and my skin is dry/sensitive. Olay make a normal/dry version of this product and I suspect that this will work better for me. I like the packaging as the pump on top makes it easy to dispense the right amount of product. 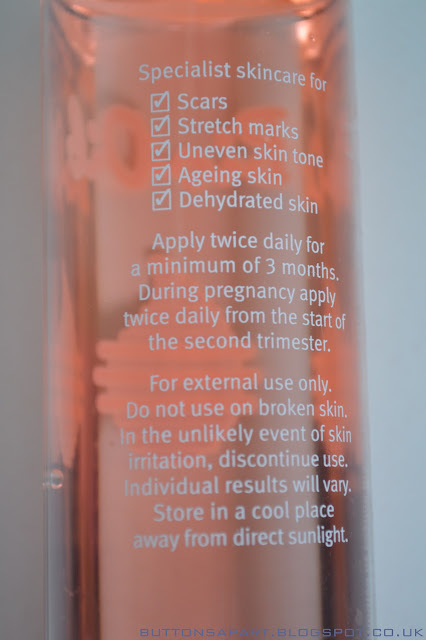 I would not purchase this particular product however I would consider buying the normal to dry skin version. 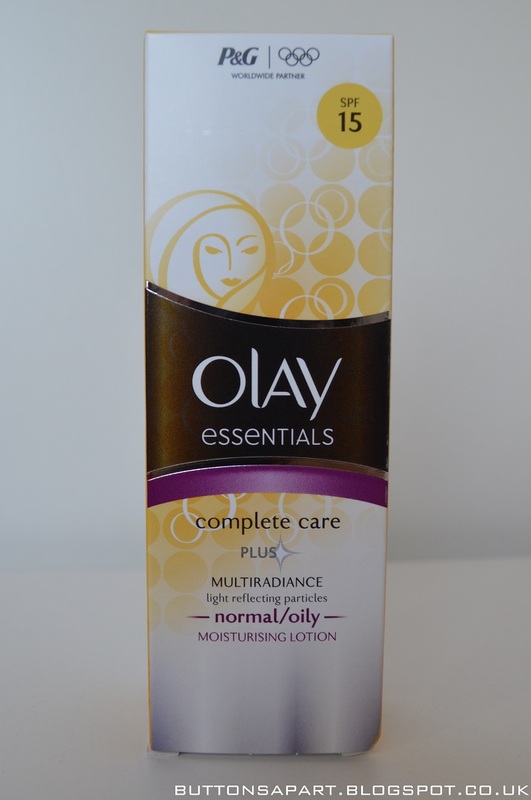 Have you tried the olay essentials complete care multi radiance moisturising lotion ? What are your thoughts? We can't stay away from primark for too long and have another haul for you! Although this time we were really good and only picked up a few items. We couldn't pass up these primark clutch bags that were on sale for only £3 each. With weddings and other events coming coming up during the spring/summer we figured that having a few neutral clutch options can only be a good thing. 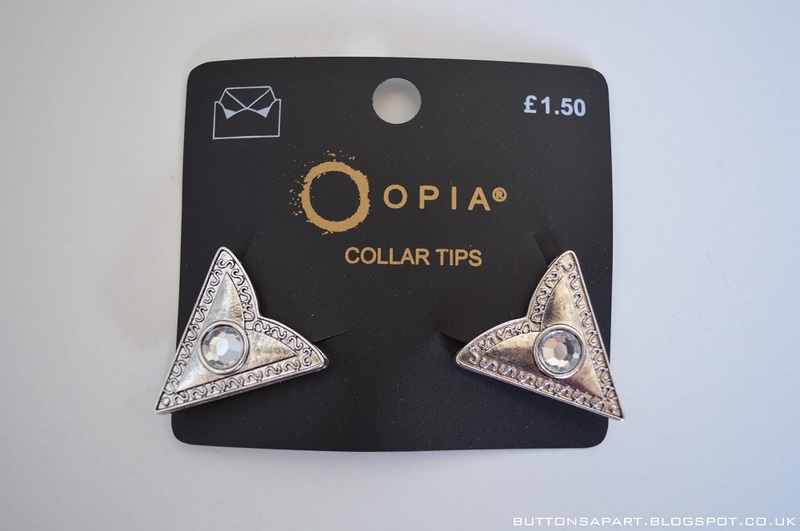 We also picked up these primark collar tips, which we thought would be a great way to jazz up a plain shirt. 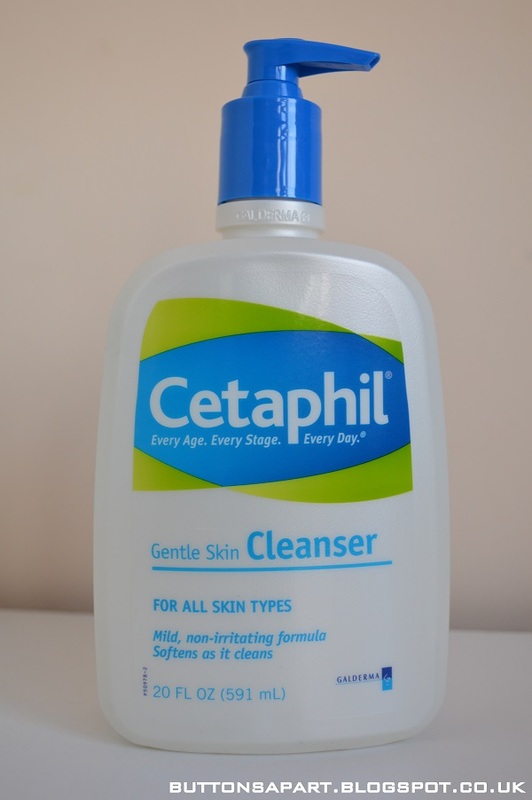 In today's post we are going to review the Cetaphil gentle skin cleanser. 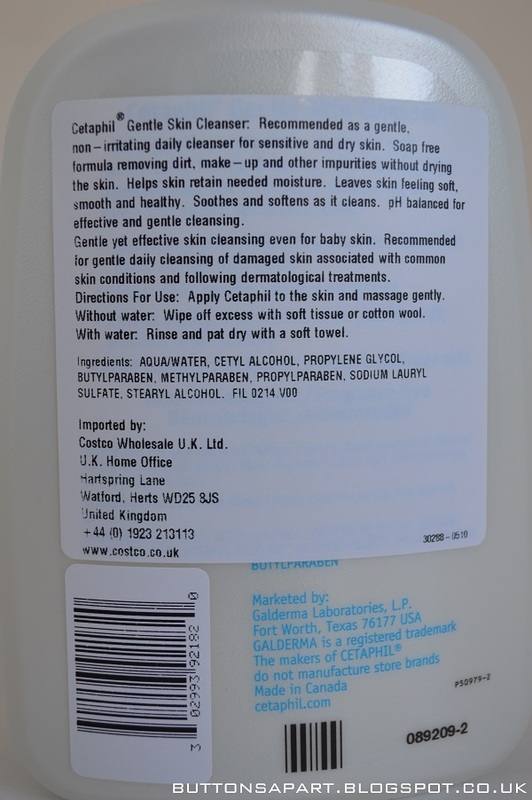 We picked this cleanser up a few months ago in Costco and have been using it ever since. We would say the cetaphil gentle skin cleanser meet's it claims. The product is non drying and left our skin feeling soft and clean. There was no tight feeling. Last but not least neither of us broke out. 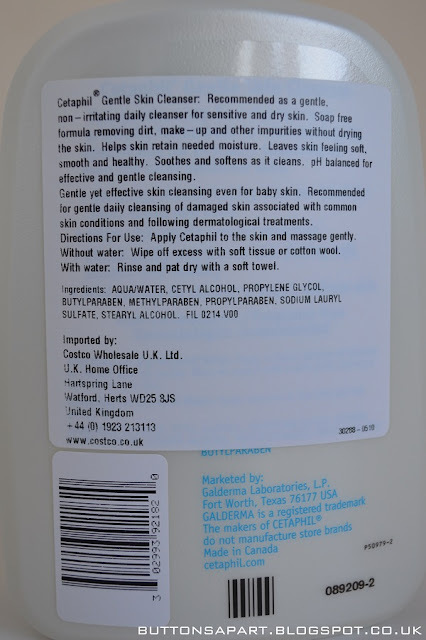 For those of you who like your cleanser to lather to get that clean and fresh feeling then this cleanser is probably not for you as it does not foam up. We were trying to figure out what the product smells like but it doesn't particularly smell of anything and then we realised it was fragrance free, so if you like something fragrant that is going to wake you up then this one is not for you either. Neither of these things particularly bother us. 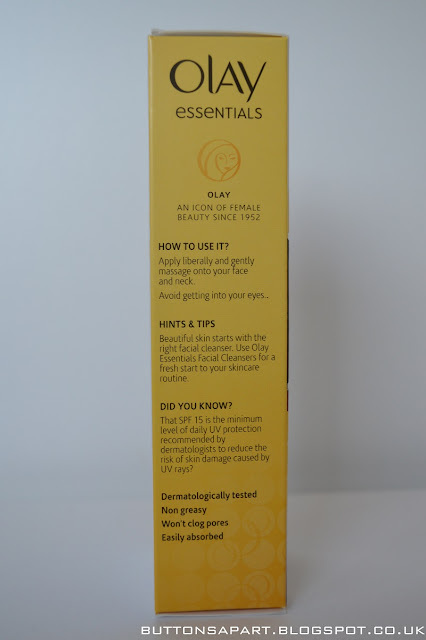 Overall this is a great cleanser which worked just as well for both us even with our different skin types. The packaging is practical. 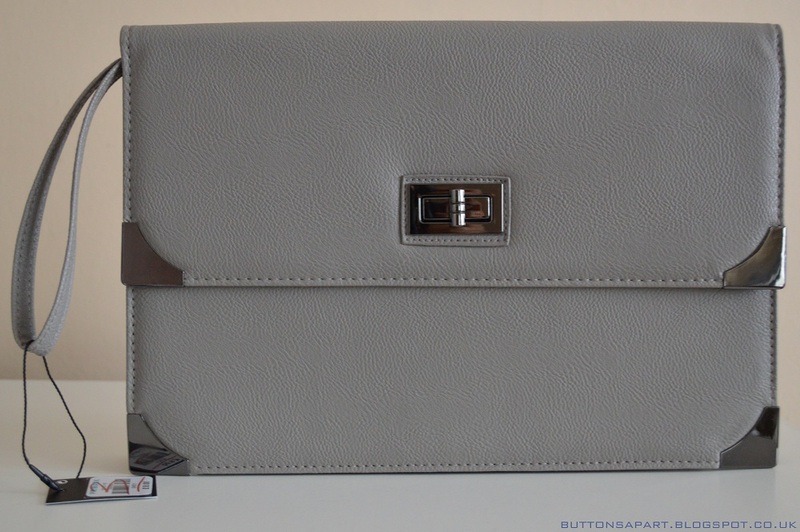 The pump on top makes it easy to dispense the right amount of product. Have you tried the cetaphil gentle skin cleanser? What are your thoughts? Today I went out to meet some friends for coffee and a catch up (or in my case hot chocolate seeing as I don't like coffee!). 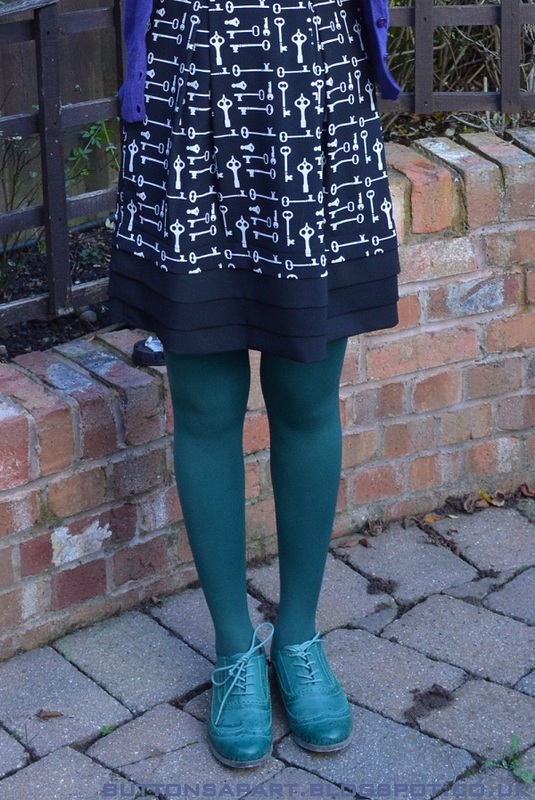 I remembered it was St Patrick's day half way through getting dressed, so instead of reaching for my black tights and black shoes as I had originally intended, I popped on a pair of green ones with green shoes! 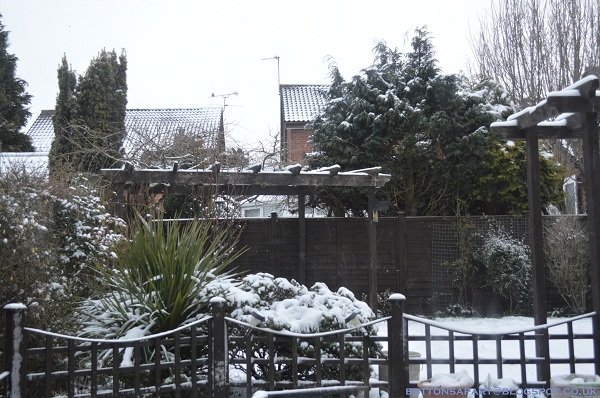 The weather has been so miserable! It has been raining/snowing since the morning. I had almost given up on going outside to take some pictures but then late afternoon it cleared up a bit so like a good blogger I ran out and took a few snaps before it started raining again! 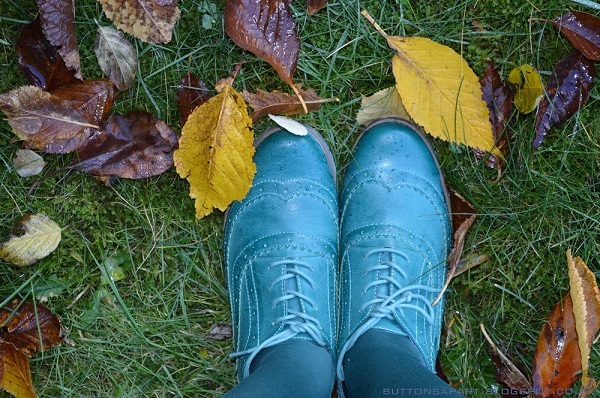 Did you wear something green today?